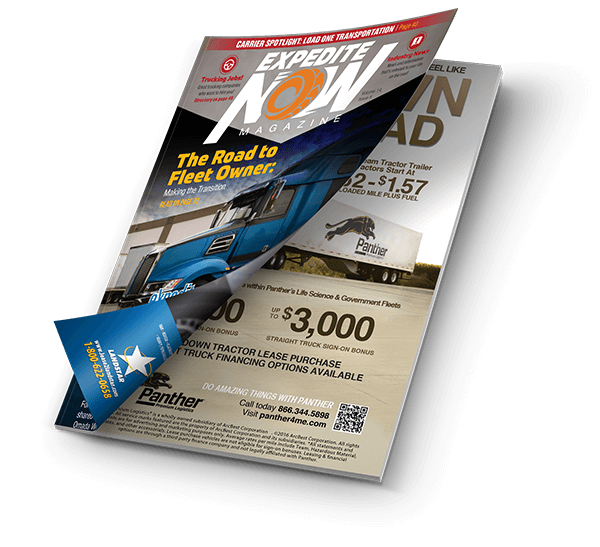 Linda, a female team driver with All State Express, gives ExpediteNow Magazine a woman’s perspective on being an owner operator. My name is Linda and I am from North Carolina. I am married and my husband is the one who got me in this industry. I am a team driver with my awesome partner Ann. We travel with Ann’s Pit bull Lucy. 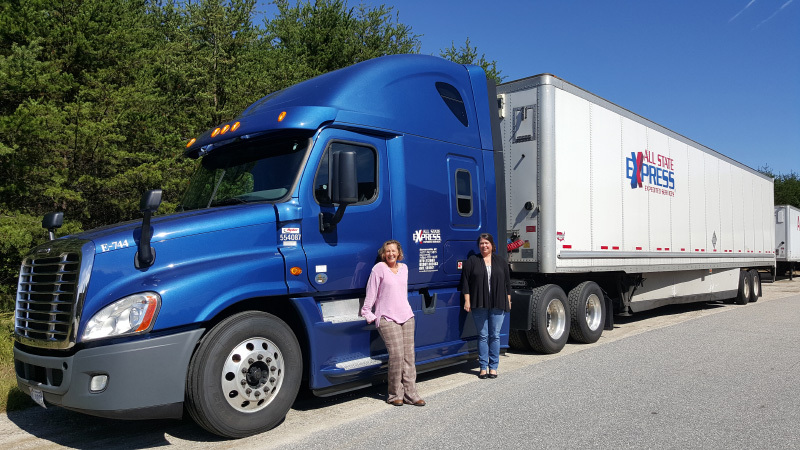 We drive a beautiful blue 2014 Freightliner Cascadia. I have been in the trucking industry for a little over 5 years and feel like I made the best decision when acquiring my CDLs. What tools, smartphone apps or software do you use to help you on the road or run your trucking business? We use a Qualcomm in our truck to receive our loads and communicate with our dispatch office. I use an iPhone and iPad in the truck for personal and business. Why did you choose time-sensitive, expedited freight? I enjoy the faster runs, getting unloaded quickly and the best part for me is 99% no touch freight. What advice would you give someone who is looking to haul expedited freight? First and foremost, if you enjoy being over the road it is a great opportunity to make more money with less miles. As a woman working with All State Express, I am treated with the utmost respect. To me that is very important in this industry. Tell us about a great loud experience or experience on the road. I have a lot of great experiences with All State Express. Some of my fondest memories are traveling from North Carolina to Washington State and seeing this country from coast to coast. How long have you been with All State Express? I have been with All State Express for 4 years. I started my career with a larger company and got the experience I needed over the road. I personally knew I had always wanted to run expedite and All State Express has been a great fit for me as an OTR female driver. Why did you choose to run for All State Express? The tractor lease program was the best I had seen out there in the expedite business and it is a woman-owned company which really caught my eye. I have enjoyed much success with a great team from the recruiting department, maintenance department, and of course the dispatch office. Everyone is willing to give a helping hand if needed. The company is more like a family than a business. What advice would you give someone who is considering finding a new carrier to haul for? Try and speak with some of the current drivers so you can get a feel for the company. Thank you for your time. It’s been our pleasure. Any other thoughts that you’d like to share with our readers? Being a female truck driver has good days and bad days; with All State Express the good outweigh the bad. To inquire about how All State Express can get you up and running in you own late model truck, call 888.691.8304 today. Click Here to fill out an online application or email us at [email protected].